What is it with Misfits and long games? Despite being regarded as the top European team through the first few weeks of play, Misfits were upset by a Splyce roster that’s struggled to find their form so far in the European League Championship Series. Splyce has a strong roster full of talented players, but they hadn’t yet put the pieces together that would bring them success as they came into their match against Misfits with a 2-3 record. Misfits, on the other hand, got off to a strong start, going to the top of the table with a 4-1 record. 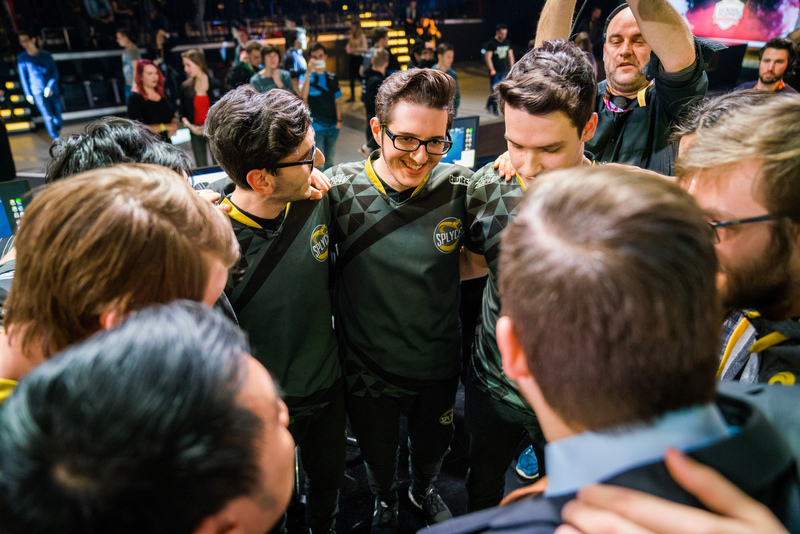 Splyce’s composition featured two strong ADC champs in Tristana and Corki. The rest of the comp was filled with tanks and supportive champions to keep those ADCs safe while dealing damage. For Misfits, Steven “Hans Sama” Liv was given Kog’Maw for the second game in a row with hopes he would repeat his strong performance against Fnatic from yesterday. Misfits took the early lead due to their strong lanes and brilliant rotations to move around the map in order to take objectives and turrets. Splyce couldn’t keep up with the macro moves by Misfits. Misfits got to a point where they were so far ahead that Hans Sama pulled off a masterful play, winning a one-vs-two against Kasper “Kobbe” Kobberup and Raymond “kaSing” Tsang. Despite their massive gold lead, Misfits couldn’t close out the game or break into Splyce’s base. Whether it was due to Splyce’s good wave clear or the lack of turret-pushing power for Misfits, Splyce stayed in the game as the clock ticked on. With the game moving into the 50th minute, Misfits’ gold advantage mattered less and less as every champion was approaching their full build. At this point, Zilean turned into a key reason why Splyce won this game, because kaSing sped up his ADCs to get in and out of the fight without taking much damage. In the late game, Tristana and Corki packed a lot of damage and the added movement speed allowed them to run down and win the extended fights. Splyce took down the Nexus in the 53rd minute after a massive teamfight win at the Elder Drake. Misfits got punished hard for not ending the game sooner, and Splyce marched down Misfits’ base easily with four Misfits players dead. This win was huge for Splyce as not only did they take down arguably the best team in Europe, but they also showed signs of their roster finally starting to gel together. Though they are no strangers to long games, Misfits couldn’t finish off Splyce and they paid dearly for it. Although this moves them out of first place, Misfits still have a strong roster and should jump back to the top soon.